In 2018, retail ecommerce sales clocked a figure of $2.84 trillion worldwide (Source) and it’s going to increase this year, so it’s only fair that you asked the above question. Just like any other smart marketer, you’ve set your marketing goals. Now you’re hunting for marketing tools that will help you achieve the goals. These tools must be light on your budget but big on performance. 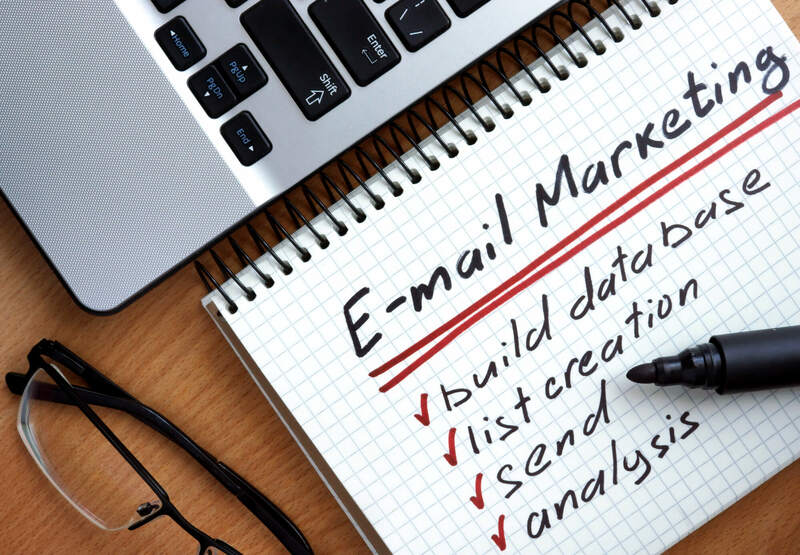 And what better than email marketing? With a relatively low cost and amazingly high returns, email marketing has been a prized tool for marketers for quite some time now. Email marketing is low cost. Email marketing has the highest ROI. Emails can be made highly personalized, tuned to the exact needs of the recipient. Emails offer tremendous opportunities for engagement. So the next question you’d be asking is: How can I best use email marketing to drive more sales for my ecommerce store? Up-selling and cross-selling via emails is a lot more structured than when done inside a physical store. For instance, when a customer makes a purchase inside a physical store, the sales clerk will have to improvise on the spot as to how she can convince the customer to buy more or buy a related product. Email, on the other hand, has the backing of analytics and CRM. As a result, you can make your emails more sensitive to the needs of the customer and hence more effective. Do this: Why should a visitor leave their email address? Promise them value - special deals, insights into products, sneak previews… And deliver your promise. Once upon a time, receipts were merely a document that said you had received your customer’s payment. From being legal and accounting requirements, receipts have become powerful tools to smoothen the sales process. A thoughtfully designed receipt can be an important touchpoint for enriching the customer experience. And it can get better. Including an image of a related product, a reminder of an upcoming sale or an invite into a special loyalty program can subtly nudge your customer towards buying one more product, one more time. Remember, a receipt is not just a receipt - it’s one more opportunity to remind a customer, help them choose their next buy and close another deal. For the record, the emails that you send out in response to a sale or a transaction are called Transactional Emails. Make sure you compare different Transactional Email services and pick the one that suits your needs best. Do this: Different countries have different rules as regards what kind of marketing messages can be included in transactional emails. Learn the rules and play by the rule. You know your relationship with your customer doesn’t end once they have made a purchase and you’ve received the payment, right? In fact, it’s just a beginning. Don’t forget your ecommerce customer isn’t worth just a $13 glass jar they purchased last week - they’re worth a great deal more. Customer Lifetime Value (CLV), “the prediction of the net profit attributed to the entire future relationship with a customer” (Source), is the right optics to understand what your customer is worth for your business. As a result, you would want to send follow-up emails to customers with the objective of staying at the top of their mind and helping them discover more items from your online store. But carry out the right split-tests to ensure you’re pitching things the right way. Do this: Marketing is about testing and measuring on a continuous basis. What worked last Christmas may not work again. Keep innovating. There should be enough reason for customers to subscribe to and stay on to your mailing list. So how do you make your subscribers feel rewarded? Give them a "Subscribers Only" offers. Give them a special discount that’s available only to email subscribers. It doesn’t have to a mammoth “96% off” offer. Even 2% off can make a difference if you can make them see the 2% off is only for subscribers. The idea is to make them realize you’re treating them special. But that doesn’t have to be your only option. Apart from special discounts, you can allow them to pre-book early, a much-awaited item. You can ask them if they’d like the next order gift-packed for free. Or you can let them know they will get express shipping once every quarter / whatever period. Do this: Spend as much time in making your customers feel special as you spend in designing marketing offers. A customer who feels special is a lot more likely to keep coming back to buy more. You can only reach so many customers when you begin email marketing. So how can you expand your reach and have more people learn about and enjoy whatever you have to sell? Let your customers do it for you. Your customers will likely do it on their own - but that numbers might not be much if you don’t remind them to refer your store. Is it worth asking your customers for referrals? A 2014 study revealed that referrals by friends (52.2%) were the single largest trusted channel in marketing. A good referral program can considerably reduce your marketing anxiety. Do this: Building business through customers is low-hanging fruit. At the same time, don’t make it sound cheap. Emphasize the fact that you’re thanking customers for referring others. A customer passes through many stages at your ecommerce store - from interest to purchase and beyond. It starts with the visitor looking around. They like what they see and they subscribe. After the double opt-in email, you send a welcome email which sets the tone of future engagement. A little later, some will buy, some won’t buy but may still carry a wish-list on your website and still, others may stop responding and probably opt out. Even as they turn unengaged, you can send out emails to win them back. It could be with reminding them about new offers. It could be about asking them whether they’d like to buy something again because they might be running out of a product they bought earlier. Finally, there would be the last moment attempt to win them back by a special offer. Each of these emails is one more opportunity to engage the customer better and delight them. Do this: Build long-term but never take customer loyalty for granted. Keep working on how you can serve your customers better. As said at the start, email marketing is powerful and yet low-cost. Growing your subscriber list increases the number of people you can reach out to for more business. Engaging your subscribers helps you understand them better while offering them value. Nurturing subscribers profitably aligns your sales goals and their needs. Email marketing helps you all through the buyer’s journey, giving you insights into your customers’ mind as few other tools can. Use email marketing smartly and it will pay you back many times over. Mayank Batavia is a freelance blogger and writer interested in email marketing, data privacy and everything in between. He also runs a small technology blog www.almostism.com. He’s fond of reading and solving puzzles and can never make up his mind which of the Tintin comics is the best.